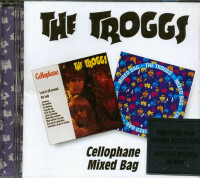 (1994/POLYGRAM TV) 25 tracks (79:32) 1966-92 / now rare GB pressing with original versions & hard to find tracks - last copies ! 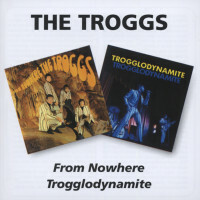 The Troggs came from Andover, in Hampshire. Originally the line-up was Reg Presley, vocals (born June 12, 1943); Chris Britton, guitar (June 21, 1945); Pete Staples, bass (May 3, 1944) and Ronnie Bond, drums (May 4, 1943); Presley and Bond are still in the group. Signed by manager /label owner Larry Page in 1966, they had a worldwide hit with Chip Taylor's 'Wild Thing'. 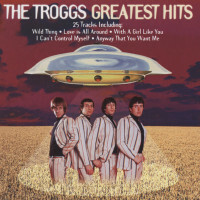 Subsequent hits, which contin-ued until 1968, were written by Presley, with the exception of Taylor's 'I Can't Let Go'. 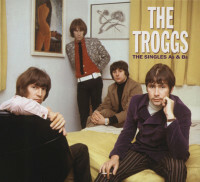 The Troggs' musical limita-tions were bolstered by good songwriting and produc-tion, and a streak of amusing suggestiveness runs through most of their material : 'I Can't Control Myself', 'Give It To Me' and 'Love Is All Around'. 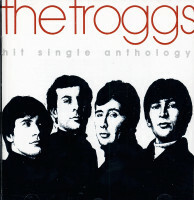 Leaving Page's management and the hit parade behind, the group survived 'the progres-sive revolution' playing cabaret dates. 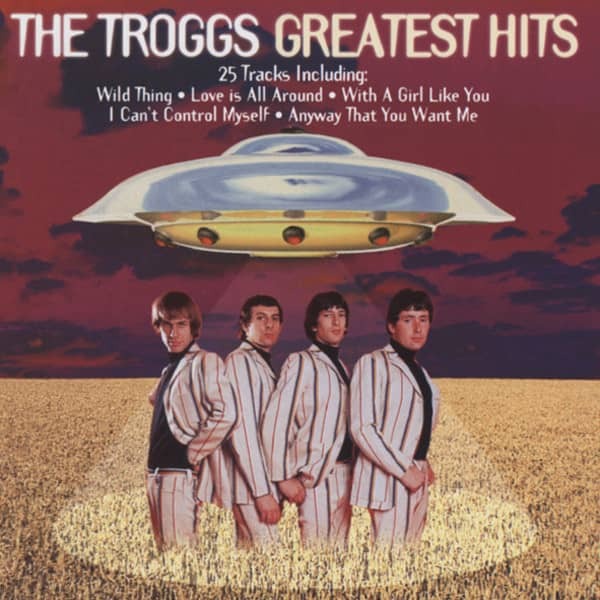 In the early Seventies, they began to get college bookings and critical notice again; a `Trogg revival' was rumoured. In 1974 the band (who were joined by present bass-player Tony Murray in 1969, but who have had several lead guitarists) were reunited with Larry Page, but they've yet to reappear in the charts, even with their highly original version of 'Good Vibrations'.